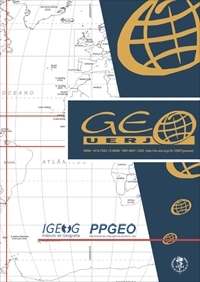 Geo UERJ journal was created in 1997 as a printed journal to stimulate and increase the intellectual output of Geography College academics at Universidade Estadual do Rio de Janeiro by giving it more visibility in the academic community. Sixteen issues were published since then (two per year), their content being made up of papers, reviews, and interviews. Geo UERJ ceased to be published between 2005 and 2006. To continue its publishing activity and make its content available to larger extents of the academic community, it has become an electronic journal. As an on-line journal, it will publish preferably papers and reviews, without excluding the publication of occasional interviews with prominent geography professionals. It still keeps its periodicity of two volumes per year and accepts papers submission all year round; and it still results from an open movement in which making itself is a permanent action but a changeable since we do not believe in closed and fixed formulas. All depends on the receptivity and suggestions presented by its staff and audience.